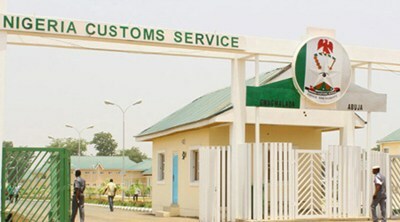 Officers of the Nigeria Customs Service (NCS) have lamented over the limited accommodation provision at the Seme border command where four or more officers are made to share one room. The dilapidated state of the roads coupled with the distance from Lagos cities, has seen most officers reside at the Seme Customs quarters until weekends as most of the officers who work at the Command live in Lagos metropolis. “This has forced many of is to reside in the Customs quarters until weekends. You find four to five people sharing one room. It has been very inconvenient and we do need the Customs management to intervene by providing more accommodation” she said. Although the officer commended the European Union (EU) for the magnificent joint-border edifice, she lamented that the planning of the structure didn’t take into cognizance the possibility that most officers would occupy the limited housing areas. Another senior officer at the Seme Customs Command also decried the laborious system of data management at the Economic Community of West African States (ECOWAS) Trade Liberalization Scheme (ETLS) section of the Command. The officer who spoke to our correspondence on the condition of anonymity lamented that the only records for ETLS goods were found in voluminous handbooks for import and export. Recall that the Nigerian Shippers’ Council (NSC) in collaboration with Borderless Alliance launch a comprehensive ETLS handbook containing protocols and procedures for some classified processed cereals such as maize, sorghum, millet, cassava, etc. The handbook couldn’t be found at the ETLS section of the Seme Customs Command as the Customs officers allege that the Controller of the Command, Comptroller Mohammed Uba Garba had requested for the only copy given to the ETLS department. The handbook identifies the common barriers to stakeholders involved in cross border trade as well as key organizations and officials for the implementation of ETLS in Nigeria, Benin, Niger, Burkina Faso. Mali, Cote D’ivoire, Ghana and Togo.